What is a lockoff and which carseats have them? 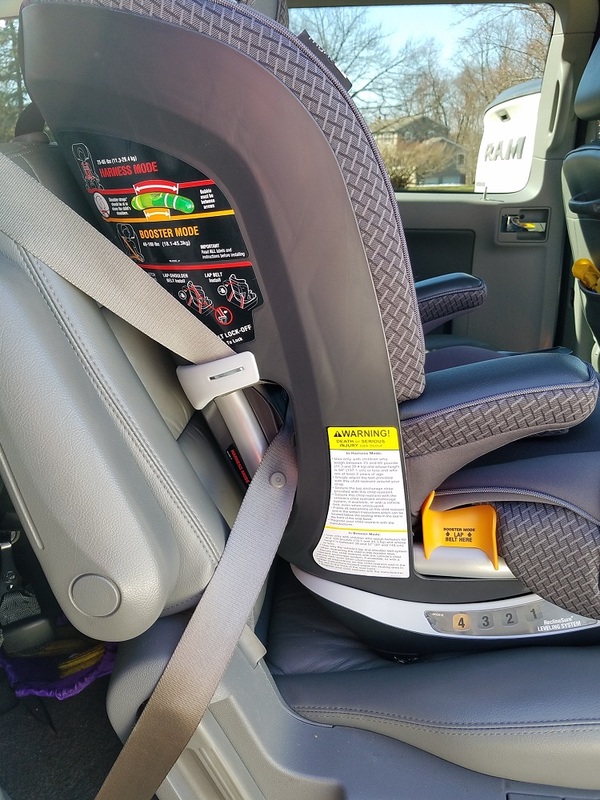 As LATCH weight limits shrink due to federal standards, more and more carseats require using the seatbelt to install once the child reaches a certain weight. 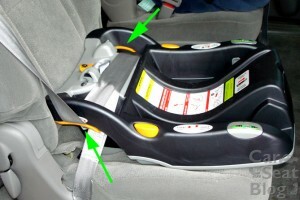 In some cases the LATCH weight limit can be as low as 25 or 30 lbs. 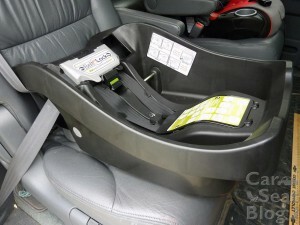 (child weight). 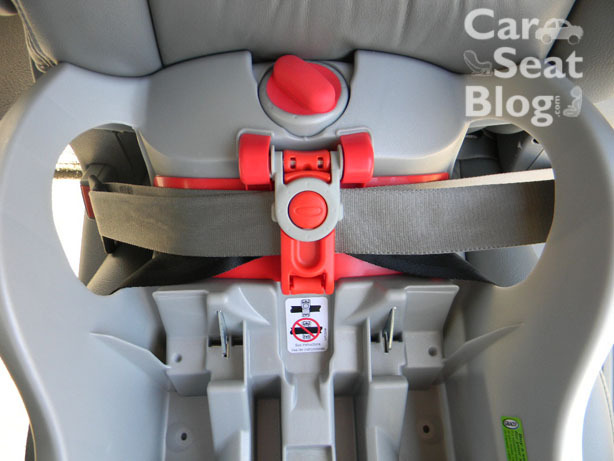 The problem with seatbelt installations is that most parents have no idea how to lock the seatbelts in their vehicle in order to properly install a carseat or infant seat base. Ask the average parent or caregiver what a “switchable retractor” is or a “locking latchplate” and you’ll probably get a very confused look in response. 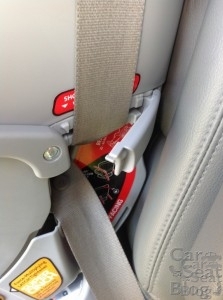 This is why every car seat in North America should come with a built-in lockoff! 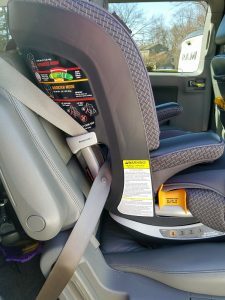 If you are installing with a seatbelt instead of lower LATCH anchors and your carseat has a lockoff device – use it and you will never have to worry about LATCH weight limits or understanding pre-crash locking features on vehicle restraint systems. 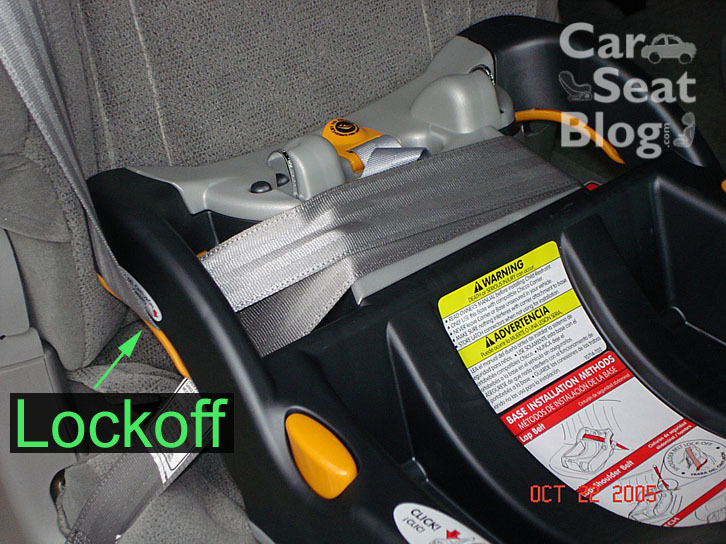 Function of built-in lockoff device: A lockoff device can serve more than one function but its main purpose is to cinch or clamp the seatbelt in such a way that it cannot loosen and your tight carseat installation stays tight! There are different types of lockoffs that require different routing so make sure you are following the directions that came with your carseat. Never assume anything. Below we discuss the two most common types of lockoff systems. 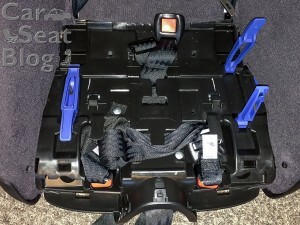 Bases with these types of lockoffs will have a lockoff on each side of the base but you only use one lockoff– on the side where the shoulder belt goes up to the retractor. Two lockoffs on base but only use one of them! 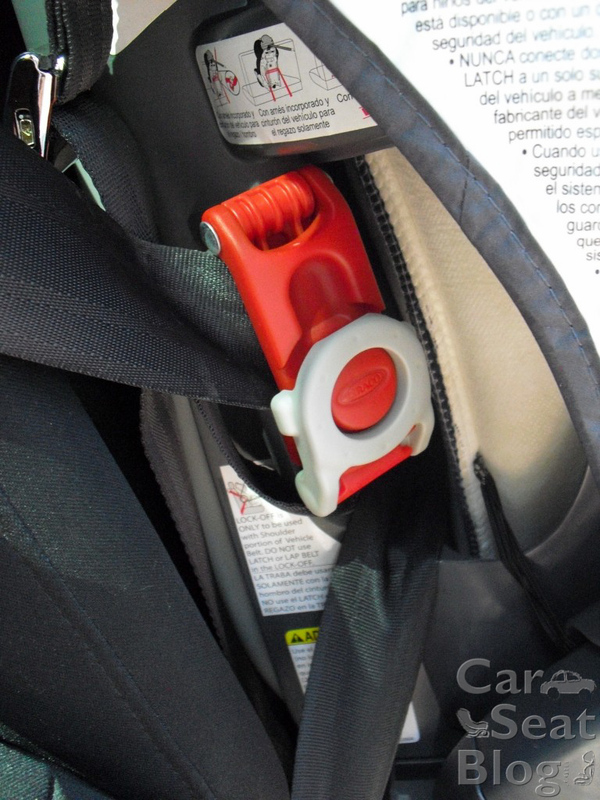 ClickTight Technology (available on certain Britax models): The ClickTight compartment acts as a lockoff too! 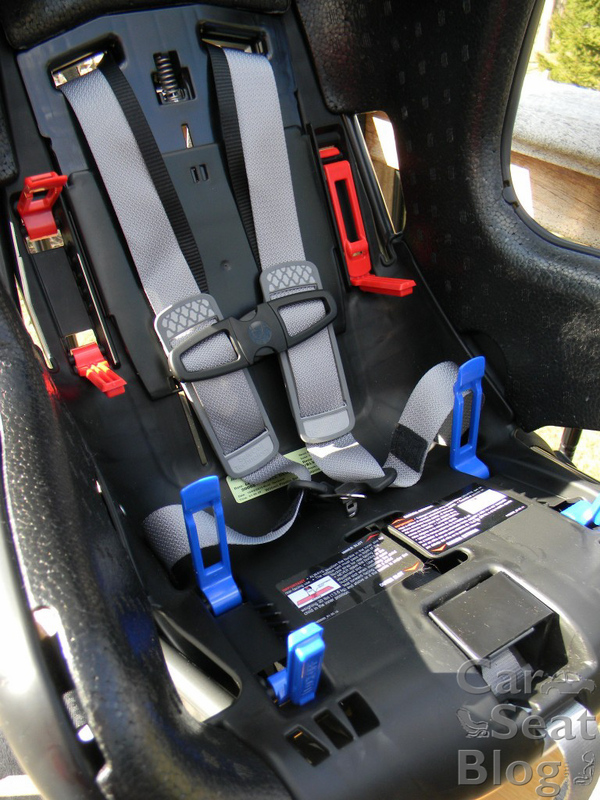 Stay tuned for updates when additional products with lockoff features become available. Hi Art. Yes, the G3 seats have the same lockoffs as the G4.1 seats. Open both sides of the lockoff closest to the buckle and thread the seat belt through, then close the lockoff. Pull the shoulder belt tight until the carseat moves less than 1″ at the belt path. You don’t need to lock the retractor. Thank you for the informative post. 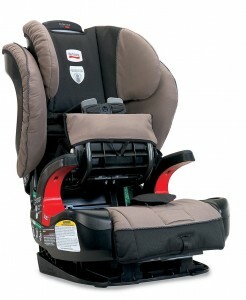 I’m looking for a Forward-Facing Combination Seat and I recently bought a Britax Frontier ClickTight. 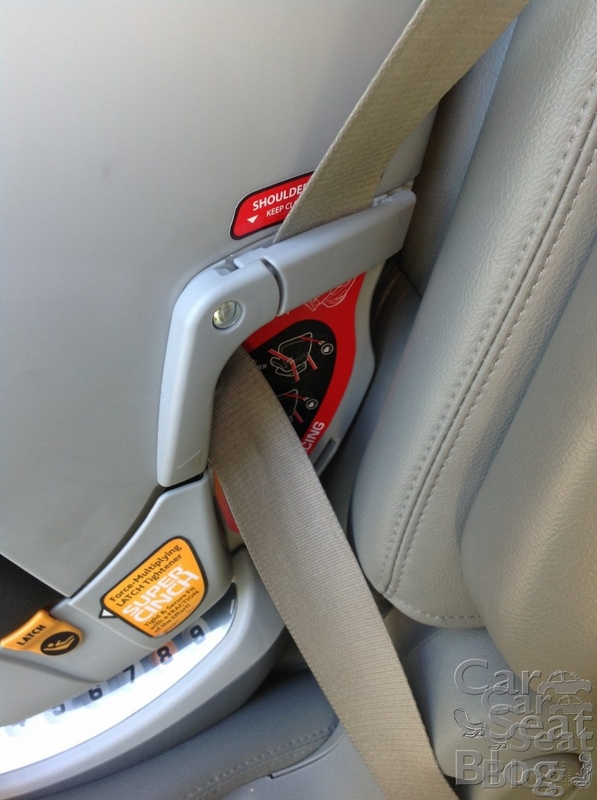 I LOVED the ClickTight – it was easy to use and was extremely secured. However, I had to return it b/c I could never get the harness to tighten properly, similar to the many complains on Amazon and online. With these other lockoffs (e.g. 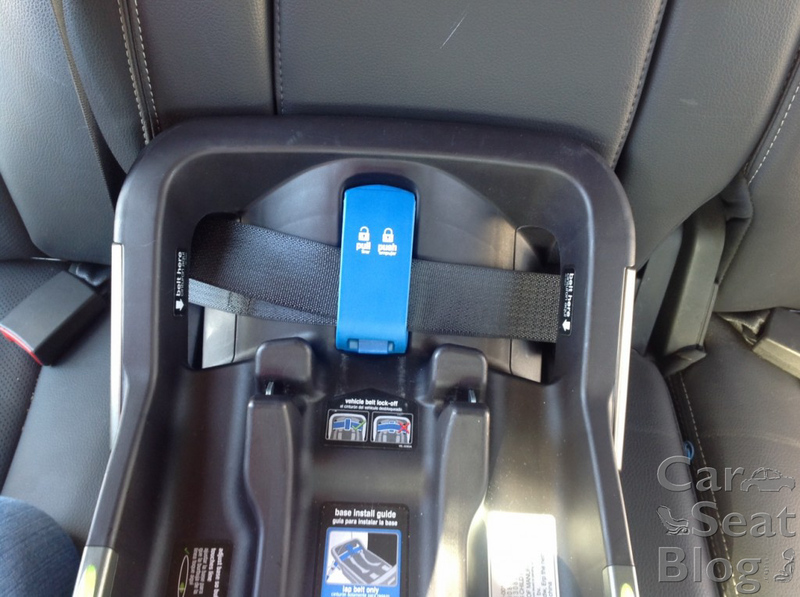 Graco Nautilus 80 Elite), 1) do they automatically tighten and secure the car seat in place or 2) do you still have to manually tighten and secure the car seat and then use the lockoffs to “lock” it place? I’m hoping for the former as none of the experts or I could ever get any car seats to tighten securely with seat belts in my car except for the ClickTight. Thanks! 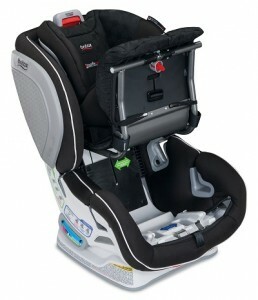 You should try the britax g4.1 lock offs. 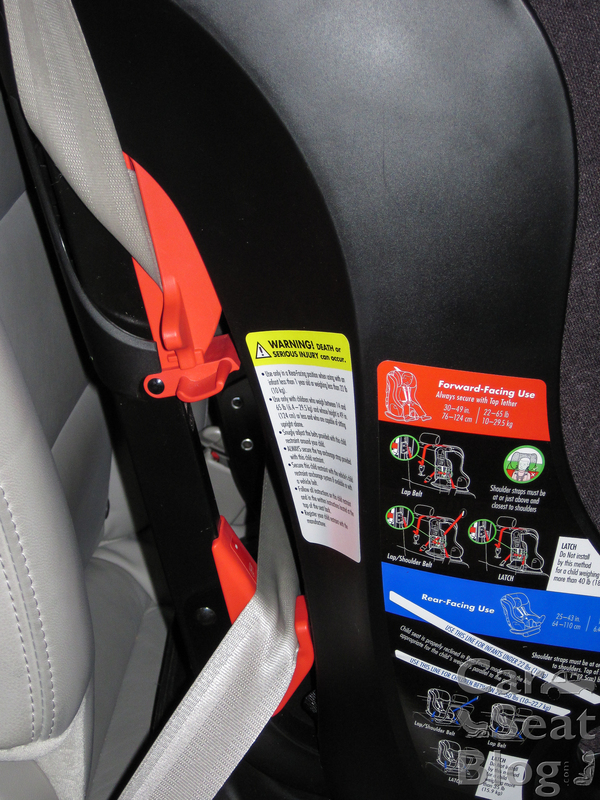 You have to tighten the belt but it’s not nearly as difficult as a seat belt install without a lock off. I still can’t install some of the Graco car seats that my sister has that are seat belt because you have to pull so hard and they still seem to move too much. We have click tights that I love and we have g4.1 car seats in our other car. They take a bit more time to install but not much. That’s too bad. We’ve enjoyed our TrueFit but it sounds like there are better options now. The BabyTrend Protect Elite has a lockoff too. We have a 2012 True Fit and I’m sad that it’s going to expire next year. Our youngest is 2 so we probably won’t buy another one. Thanks, Kate. 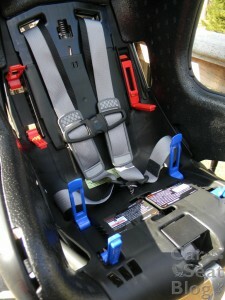 I had to find the manual online to confirm that the Elite model had lockoffs because that info wasn’t listed anywhere. Honestly, after skimming through the PROtect Elite manual, I needed Advil. That’s the worst manual I’ve seen in a long time. If I wasn’t already familiar with the previous TrueFit models, I would be totally lost trying to follow those “directions”.